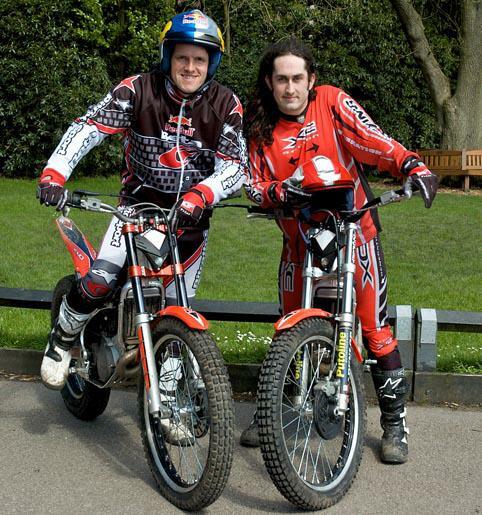 Multiple trials world champion Dougie Lampkin will appear with comedian Ross Noble of the Fifth Gear television show on Monday. 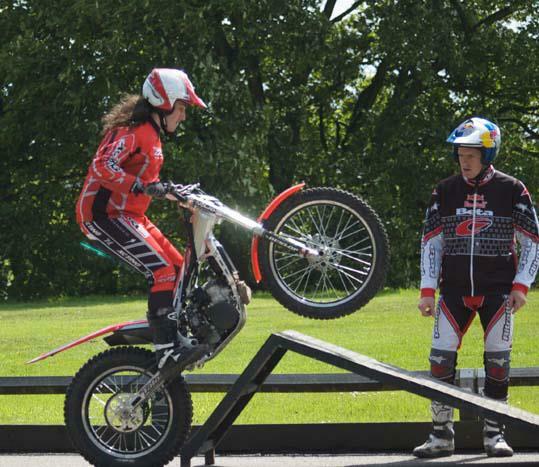 Lampkin will be teaching Noble to ride a trials bike. This is the second time Lampkin has been on the show this year. Previously he was with Vicki Butler-Henderson back in February being taught to drive a car. Dougie was faced with a different challenge this time around, with the former multi World champion tasked with teaching comedian Noble the finer details of trials riding. The Geordie stand-up performer who now lives in Australia with his wife and young child is a keen biker and put Lampkin at the top of his request list when he was approached by Fifth Gear. Noble makes regular TV and radio appearances on shows such ‘Jack Dee Live at the Apollo’, ‘Have I Got News For You’ and ‘I’m Sorry I Haven’t a Clue’. When not performing Noble is an avid motorcyclist and has the scars to prove it, although these were not caused by the trials bike, he got these when back on his farm in Australia. The exploits of Ross and Dougie can be seen in full on Fifth Gear – Channel Five – at 8.00pm this coming Monday, 22nd June.